This week the majority of Kitco Gold Survey participants are bearish: 48% of respondents believe that the prices for gold will see a downward trend, 36% remain bullish and only 4% preferred to stay neutral. How do those who see weaker prices back their position up? In their opinion the technical charts have become bearish in the short-term for gold. “The $1,582-$1,591 area should be the next (area to) hold. This thing looks heavier than a ’57 Chevy,” said Adam Klopfeinstein, market strategist with Archer Financial Services. Those 36% who see stronger prices next week, explain their take on that by 2 facts. Firstly, gold price may bounce as the price supports has been taken out. Secondly, now that the Lunar New Year holiday is over, chinese traders should become active again, especially in with the current price situation. 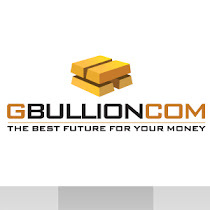 The buying will give the gold price the necessary stimulus. Who would you rather agree with? What is your strategy for the nearest future? Let us know what your opinion is! According to me gold price will always increase. Because Today, demand for jewellery continues to drive a large percentage of annual precious metals production, that also affect the Live gold price in the market.